Flip a coin. If tails, This move does 20 more damage. 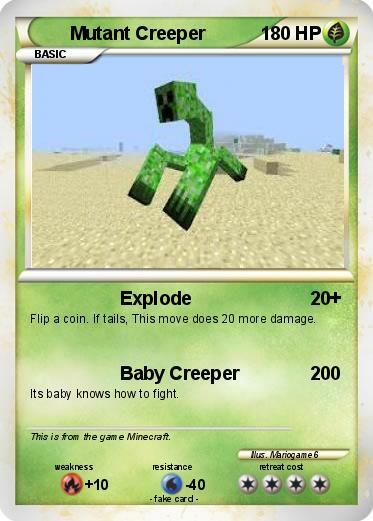 Its baby knows how to fight. Comments : This is from the game Minecraft.